We have any kind of scanner you could dream of. 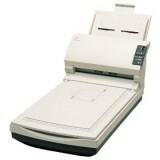 Need a document scanner, photo scanner or laser scanner? We've got that. Check out our items below and if you have any questions, just get in touch. We're here to help.